Posted in Agencies, Government, News, under Asia. 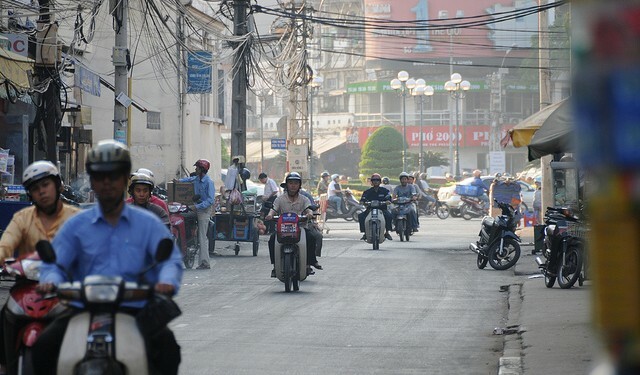 The latest list of agents under Vietnam’s licensing scheme has been released, however stakeholders in the country have said that despite airs of an industry-wide clean up, the nascent student recruitment sector still has ground to cover. “It doesn’t mean anything because there’s no enforcement"
After Ho Chi Minh city, Hanoi is the second largest hub for outbound students in Vietnam, a growing student source market. The Department of Education and Training in Hanoi has released a list of 200 agencies that have undergone the government’s licensing programme, which includes passing a test and putting $23,000 into an escrow account. However, according to Kenneth Cooper, co-founder of Access American Education, which has had consultants licensed through the scheme, the list bears little weight when it comes to improving business standards. According to a 2013 government mandate, agency owners and agents must have a university degree and be proficient in another foreign language. The certification process requires individuals to undergo a 40 hour training course which includes information on education systems of host countries and ethical standards. Once they pass an exam and make the escrow deposit, agents are issued licences by local departments of education and training, which are responsible for K-12 education and education agents in their cities. Speaking with The PIE News, Mark Ashwill, managing director of educational consulting company Capstone Vietnam which has licensed agents at both its Ho Chi Minh and Hanoi locations, recognised the scheme is an effort to raise standards but said it is limited in scope. “No one’s looking into how educational consultants conduct business or what consumers have to say about their services,” he observed, adding that the steep deposit could ultimately push legitimate consultancies out of the market. “The financial requirement, which is to ensure that educational consultants have sufficient resources to settle legal claims, eliminates a number of companies that cannot yet afford that amount,” he said. Despite the programme’s limitations, Ashwill commended the government’s efforts. Vietnam is increasingly becoming a fruitful market for student recruiters keen to diversify campus nationalities. The country has seen demand boom in the past decade, mostly for studies in the US. It was also among the top four emerging markets to watch listed in a recent report by World Education Services that urged educators to look beyond China, India and South Korea. But, despite rapid growth, especially in secondary school enrolments, Cooper at AAE says Vietnam is still very much a “frontier market” with sub-standard practices. Ashwill, meanwhile, argued that for the time being, in Vietnam, educators should be charged with finding reliable agents on their own. “It’s ultimately the responsibility of institutions that work with agents to screen them properly, stay in touch with them and cultivate the relationship so they know what’s going on, and what’s being said and done in their name,” he said. In Vietnam trading mechanism is not good, so business is very difficult pushers.